We're excited to be kicking off our 2015 season at one of our favorite haunts, MCC on Main in Manchester. We're playing a bit later this time (8 - 10 pm) which will give you time to find a little dinner in downtown Manchester, and it's BYOB (beer and wine only) so please feel free to bring a bottle and make an evening of it. $5 cover. We'd love to see old and new friends! 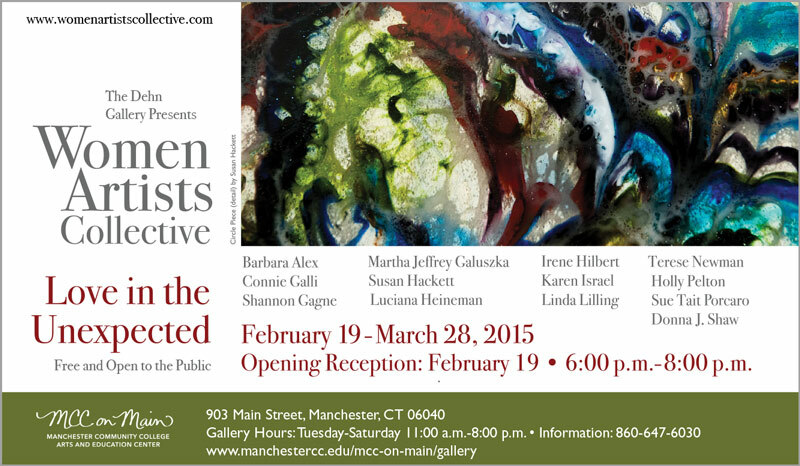 Now showing in the Dehn gallery at MCC on Main, the Women Artists Collective show “Love in the Unexpected” - so get your fix of music and art at the same time!